Yesterday was blue and beautiful, today was grey, rainy and humid. Looking over the Reflecting Pool to the Washington Monument the weather probably cut down on the amount of tourists walking around, more likely they’ll be taking air-conditioned bus rides. 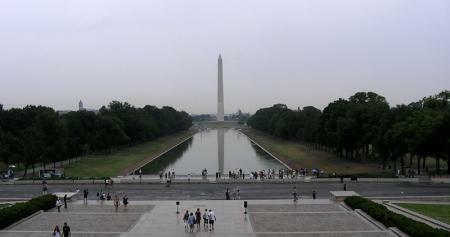 Near the west end of the Reflecting Pool is the Vietnam Veterans Memorial. Flags, photos and other mementos honor those who fought in that war. Hopefully the color is okay, I’m still dealing with a broken graphics system on my laptop. 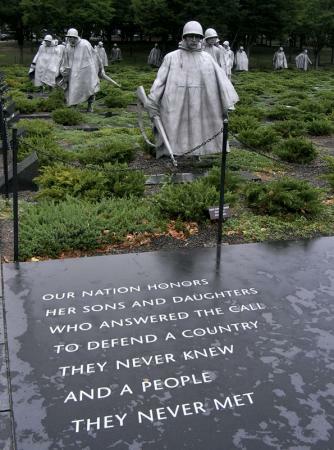 The Korean War Veterans Memorial felt most appropriate in the weather since these statues were wearing ponchos along with their weapons and packs. 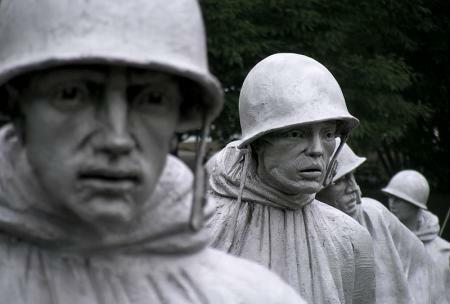 Another photo of the figures in the wet DC weather. 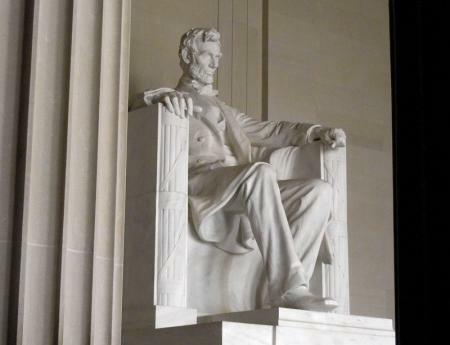 And at the west end of the Reflecting Pool is the Lincoln Memorial with honest Abe sitting high above everything amongst huge columns. 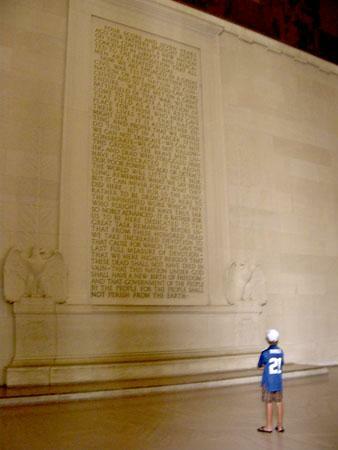 The Gettysburg Address inscribe into the wall of the memorial. 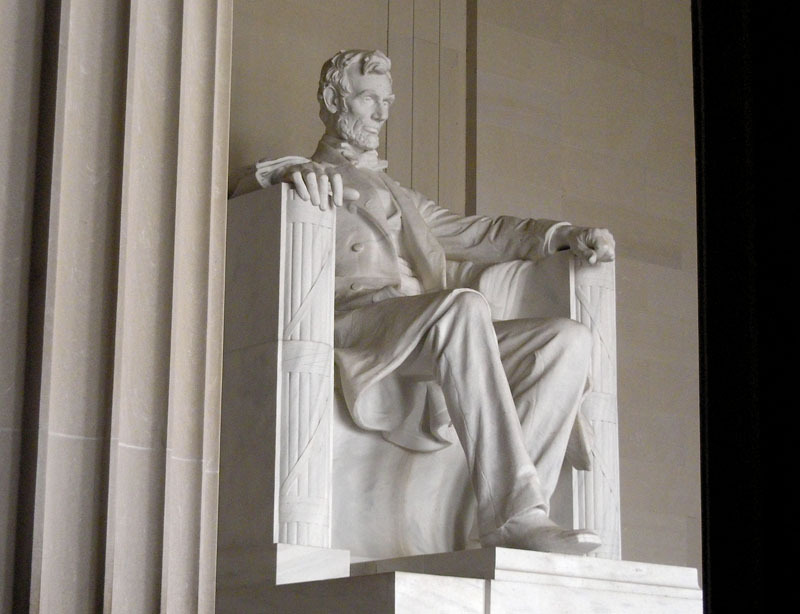 When visiting these monuments and memorials you’ll hear people speaking languages from all over the world as they see what America is made of and to be a part of that while they visit. I didn’t do too much touring as I discovered this morning that I’m coming down with cold. I thought I had dodged getting sick for the entire trip. Hopefully I can beat it and enjoy a few more days off back in Hawaii. 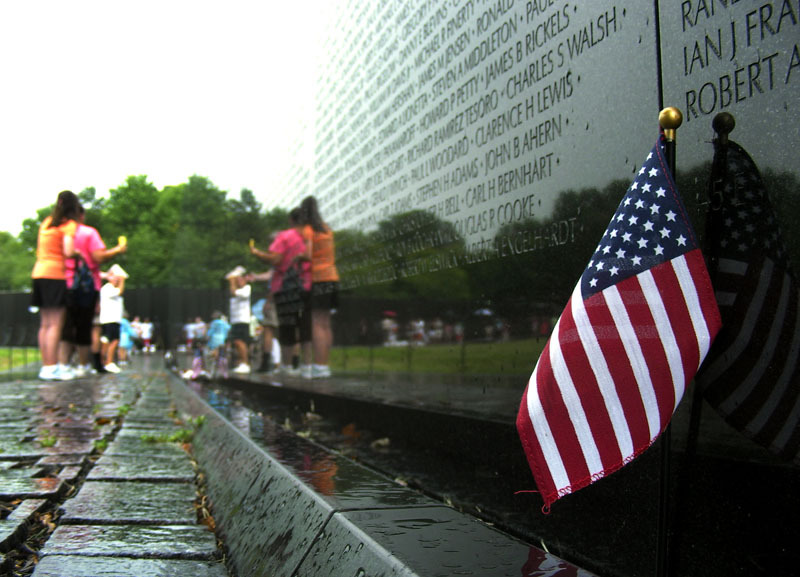 I was attracted to your blog by the phrase "Vietnam War Memorial" and wish to make an important correction: The name of the memorial is "Vietnam Veterans Memorial" not "Vietnam War Memorial." The name is significant because it is not a memorial to war; it is a memorial to those who served and died. There is a difference. Mahalo for the correction Jim. Fixed. I also fixed the Korean War Veterans Memorial tag and linked to the appropriate websites.